So you decided to upgrade your humble abode with a shiny new kickass home theatre? Awesome! Now it is time to get your home theatre built to your exact liking with the help of this friendly and useful guide. We will help you choose the right tech for the job and the best configuration for your room. So let us begin. 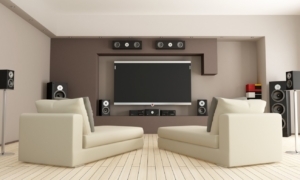 Choosing the right television for your home theatre is vital. The television will be the star of your home theatre and without it you do not have a theatre. The main features you need to pay special attention to are: picture quality, interface support and optionally, the sound quality. For picture quality, look for High-Definition (HD) or Ultra High-Definition (UHD). These are also referred to as 1080p (for HD) or 4K (for UHD). Getting the highest possible definition will help make everything look sharper and more immersive. Be sure to check the contrast ratio and black levels, as they make your movies pop during both daytime and night time viewing. 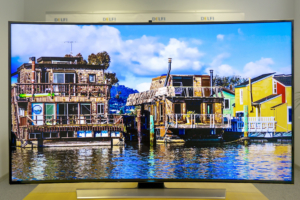 You can look for terms like LED or OLED for overall better picture quality. As for interface support, just make sure the modern connections are available. These include HDMI, some form of networking, for example, ethernet or Wi-Fi and audio interfaces. Make sure your television has audio interfaces to support surround sound speakers or a soundbar. This is necessary for the next step below which covers the sound setup for your home theatre. While not important if you follow the next step below, ensuring your television has good sound quality is a ‘nice to have’. Ensuring this will also help if you choose to re-purpose the television at a later date without an independent sound system. Generally, if you choose a good brand television and get the above right, your television will most likely have decent sound. The second priority on your list is ensuring you have a dedicated sound solution. Therefore are two main options to consider: the soundbar setup or the surround sound setup. Each has its own pros and cons and features you have to evaluate. For the soundbar setup, focus on a powerful soundbar that can fill the room evenly with high quality sound. Features to look out for are: virtual surround sound, subwoofers and a good mix of speakers within the soundbar. While specifications such as wattage output are important, there is only so much you can expect from something as low profile as a soundbar. Similar to soundbars, you have soundbases. These are basically soundbars that you can place your television on. They are often a larger to support the additional weight of the television, but this also means they can accommodate larger speakers. Larger speaker, usually mean greater wattage output. Choose this option if you definitely are not going to be mounting your television on a wall. Surround sound systems are the most traditional and effective choice. They utilise positioning of multiple speakers covering the spectrum of frequencies in order to get the perfect soundstage. From the rumbly lows to the squeaky highs and everything in-between, a surround sound system is a recommended choice. Make sure you consider how many speakers are in your surround sound system, for example 2.1, 5.1 or 9.1, the total wattage output and each individual speaker wattage output – this is important for a balanced soundstage. Because you do not want the highs to be muffled by the lows, nor do you want the lows to be drowned by the highs. The location of your home theatre and all the gear within is key. Smaller rooms are easier to fill with light and sound, but are harder to fit the physical equipment. Contrary, larger rooms are a lot harder to fill with sound and light is not as effective, however, you have more room to house your gear. This is why positioning your television, speakers and furniture is vital. Without good positioning, you can feel uncomfortable and distracted when trying to enjoy your new home theatre. To get positioning right, firstly, ensure your television is upfront and centred in the room. Your television is the focal point, this cannot be stressed enough! Next, decide how your sound system will fit. If you went for the soundbar or soundbase, just place it right below the television. However, if you went for a surround sound system, it gets a bit more complicated. If your sound system is a basic 2.1 sound system, which is two satellite speakers and one subwoofer, place the satellite speakers next to the television, one on either side. Then place the subwoofer cantered below the television. For larger surround systems, such as 5.1 and 9.1, evenly place the speakers throughout the room. The intention is to ‘surround’ you [the person watching the television] in sound. You should be able to sit in the middle of the room and turn your head in any direction and get an even dose of sound to each ear. You might also have to sit in every chair and seating spot in the living room. While doing this, verify you can see the television comfortably and that both ears, regardless of which way your head is turned, receives an even supply of sound. Consider adding new means of accessing media. Your cable TV box is good for beginners, but this is 2016 and everything has Wi-Fi! 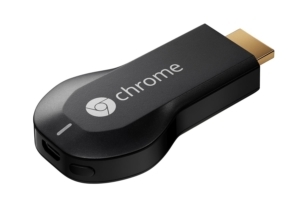 Consider adding an AppleTV or Chromecast. Customers can buy the Chromecast from us, these are affordable small gadgets that can really upgrade the content you have access to. Plus, they allow you to easily link your existing devices, such as your iPhone or iPad to your television. For added functionality. They can even add voice support for those of us who like talking to inanimate objects. Now that you have chosen your tech gear, you are ready to start building your home theatre. When done right, you can have a bespoke home theatre that rivals the big theatre chains. Consider hiring Direct Connect Services, the professionals to ensure everything is wired correctly and neatly for optimal results.